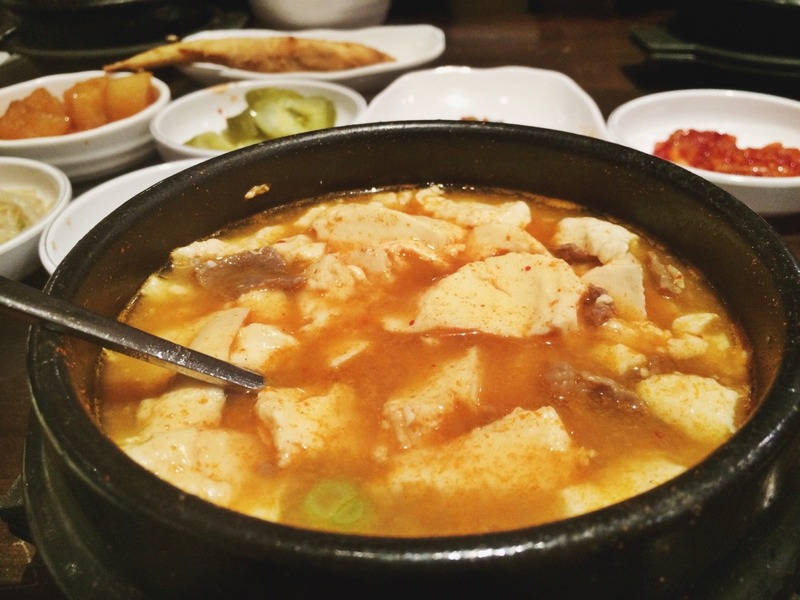 One of my favorite Korean dishes has to be Soondubu Jjigae. 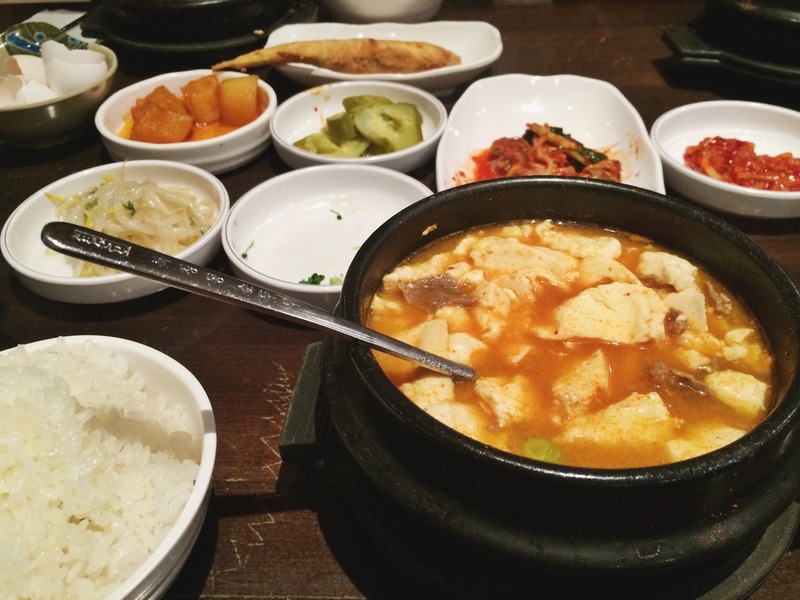 It is a hot and spicy (optional) stew with tofu and a raw egg and you have the option to choose beef, kimchi, or seafood. This is one of my favorites because well, it's just so damn good. 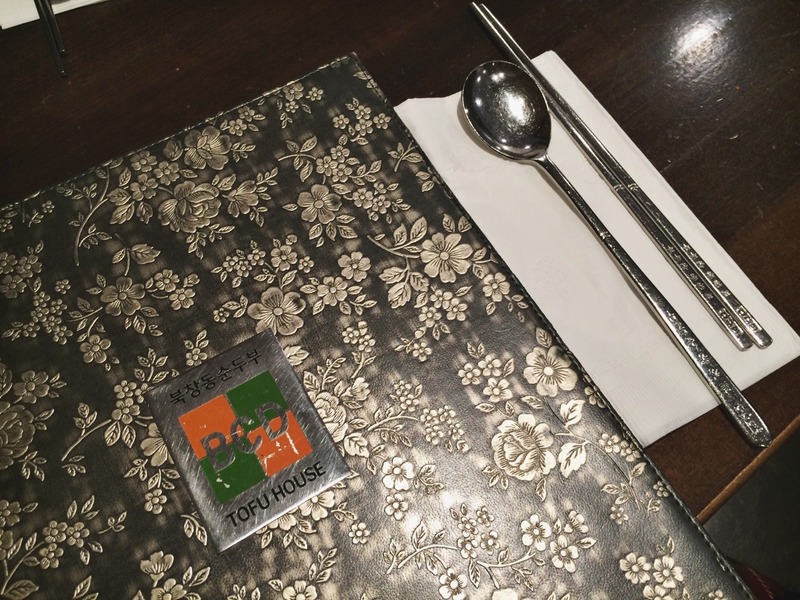 If you haven't tried Korean food yet, I'd suggest eating here for your first, or at any other BCD locations. I was craving for some delish soondubu and my friend mentioned BCD, which was exactly what I was thinking of, so we were set to go there after work. I've been to a different location but have never visited the one on Northern Blvd but I'd have to say this is the best location I've been to. They do have a free parking lot for anyone who's driving. The customer service is really great even though they may not be the best English speakers. They're very kind and always attentive to what you need. 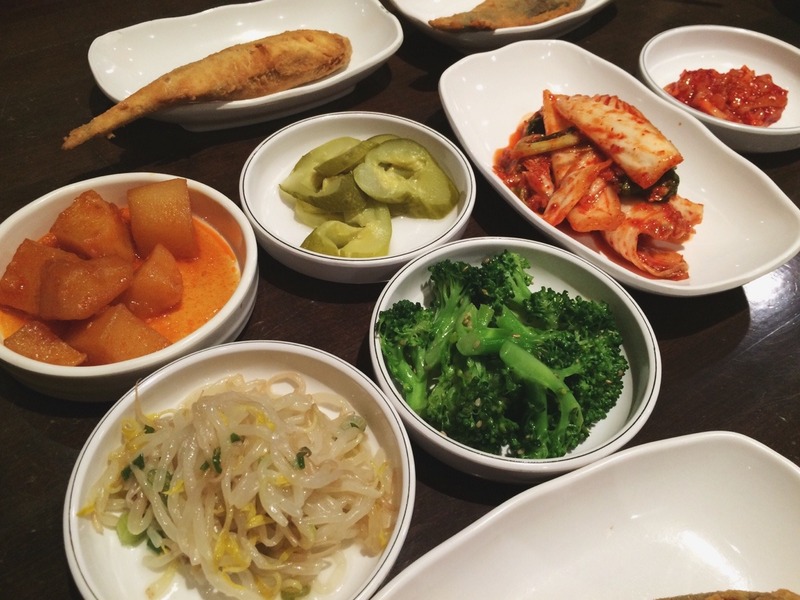 After ordering, we were given these sides, which is usually given in Korean restaurants. The soondubu jjigae arrives as the broth is boiling in this little pot and you crack the egg inside to let it sit and cook. Look at that. Doesn't it make you drool? It was really good and my overall experience was great. Definitely a place I'd recommend and go again, though I felt the broth could have had a bit more taste. Rating: 4.5 - 5 stars!